Frontwoman and vocalist of the Dutch symphonic metal band After Forever. She joined Nightwish in 2013 after their lead singer left the group. She studied at the Rockacademie in Tilburg and spent two years with the National Conservatory. At the age of 16, she started with the band After Forever until they disbanded in 2009. She then went on to form ReVamp where she stayed until 2016. She was born in Goirle, Netherlands and grew up with her sister Irene Janesen, who is also a singer. She began dating Hannes Van Dahl; they had their first child, a daughter, in March 2017. 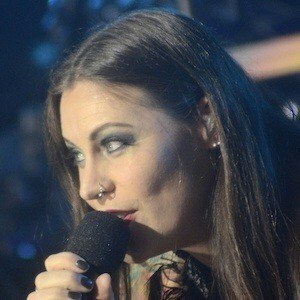 She replaced Anette Olzon on Nightwish, who left to take care of her newborn son.